Conveniently located in one of Melbourne’s fastest growth corridors in the South East, Providence, located in Cranbourne North, offers you simplicity and beautifully designed Henley Ready Built homes, that are ready for you to move straight into. Most importantly, your brand new home will come with all of Henley's extensive warranties and guarantees as well as superior luxury inclusions and finishes. For a limited time all completed homes in the Providence estate comes with $15,000^ off their current listed price. With over 55% of the project now sold you'll need to be quick to secure your piece of Providence by Henley. Register today to find out more or call James on 0438 204 052. Providence by Henley is a master planned housing development in Melbourne’s South East. We have paired generous land in Providence with the most suited Henley Ready Built home designs to take the guesswork out of searching for a house you love on the land you want – or vice versa. Your brand new house will come with all of Henley's great warranties, guarantees and inclusions, but most importantly, it will be ready for you to move straight in! You will also get the peace of mind that your neighbour’s home will be just as beautiful as yours - as each lot has been expertly planned as a collective. Each house has been individually picked by a team of designers taking into consideration location, orientation, vistas and even the direction of your neighbours. Each home has it's own beautiful garden and modern colour scheme that fall part of a landscaped masterplan for the entire community. The use of mixed driveway materials and colours to look apart from your neighbour. Stunning feature 'Brush Fencing' to all corners providing a grand entrance to your street. 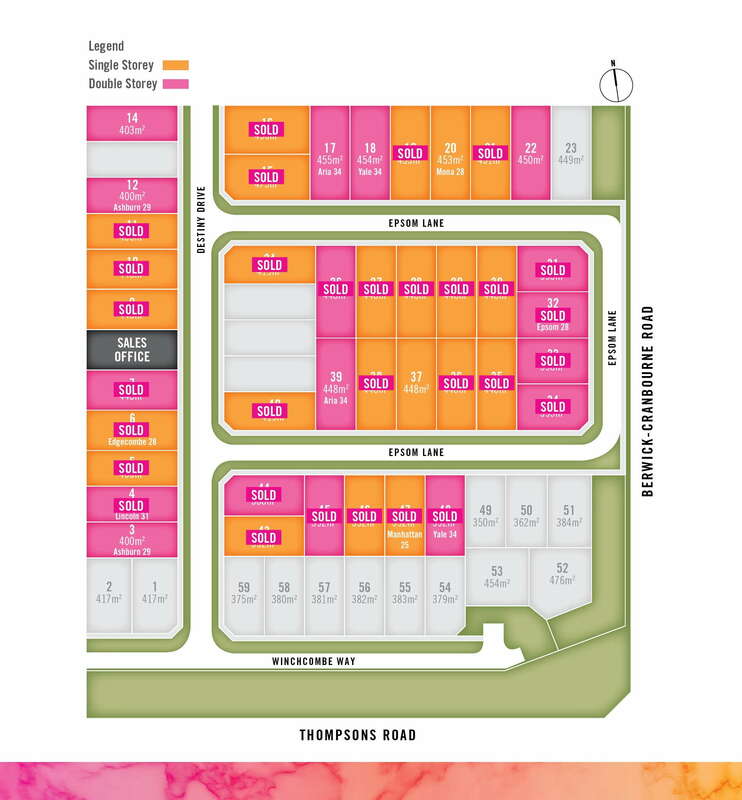 An abundance of choices in terms of floor plans and price points with a mix of single and double storey homes on offer. A range of single and double storey fixed price homes from one of Australia’s leading home builders have been expertly paired with generous sized lots within Providence, to bring you a new home experience without going through the building process. What is Henley Ready Built? Henley Ready Built homes have been created for convenience, without compromise. They are already made, complete new homes designed to save you time and money, and quite simply, get you into your new home quickly! Ready to move into straight away, or within 3 – 6 months, it means you can walk through the finished product before you call it home, or see final construction through while you tie up rental arrangements. Henley Ready Built homes come in a variety of options, from a more traditional home with four bedrooms, to a double storey townhouse or fuss-free terrace homes. Each has been uniquely chosen to best suit the land available at Providence, so whichever home you decide on, you know that it’s the best choice for the block of land. Given the homes are already built, there’s also no progress payments along the way, which means you can save on interest and reduce the overall cost of construction. Visit the Providence Estate Display Centre today at 675 Berwick-Cranbourne Road, Cranbourne North. For more information, please visit James at our Providence Sales Office located at 27 Destiny Drive, Cranbourne North on Monday, Tuesday, Friday, Saturday and Sunday by appointment only. Alternatively call James on 0438 204 052 or complete the enquiry form below. Surrounded by kindergartens and leading schools such as St Francis Xavier College, Hillcrest Christian College, Haileybury College, Monash University and Chisholm Institute. Say hello to James, or more affectionately named JD. With a lifetime of experience in construction and sales, JD will help you find the perfect home in Providence to suit, and do it with the highest quality service - he regularly wins Service Excellence awards! JD loves to travel, with India and Sri Lanka being his favourite destinations. For years, he has worked closely with a local orphanage in India. Seeing the children growing up over these years is one of his most rewarding experiences in life. JD is always happy to hear from you so book an appointment to say hello. Say hello to Providence Estate!